G-S Flexo wrist watch crystals. 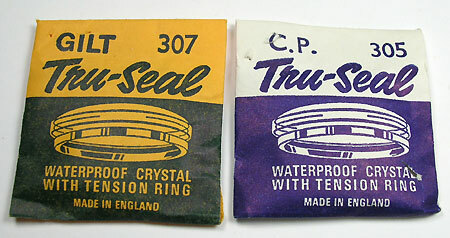 Tru-Seal waterproof wrist watch crystals with tension ring. Most sizes available. Specify gilt or chrome plated tension ring. $8.00 each.